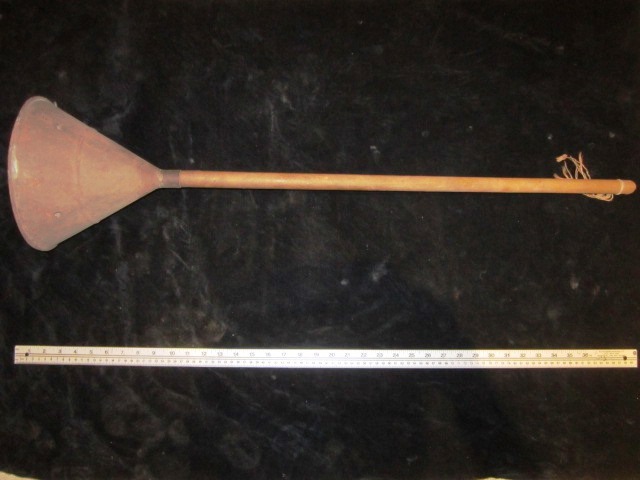 Wooden handle with funnel shaped bottom. Four separate half-circular chambers on the inside. In the center a circular strainer is attached. Found in a building on Front Street, Revelstoke known locally as the Chinese Joss house. A posser was used to agitate laundry in a tub.